All of these photos were shot from a great distance and cropped a lot! Then there are 3 Blue-crowned Chlorophonia on the right, with no explanation yet for one with an orange cap. It could be a trick of the light, a freak difference, or less likely a Tawny-capped Euphonia. I go with light! 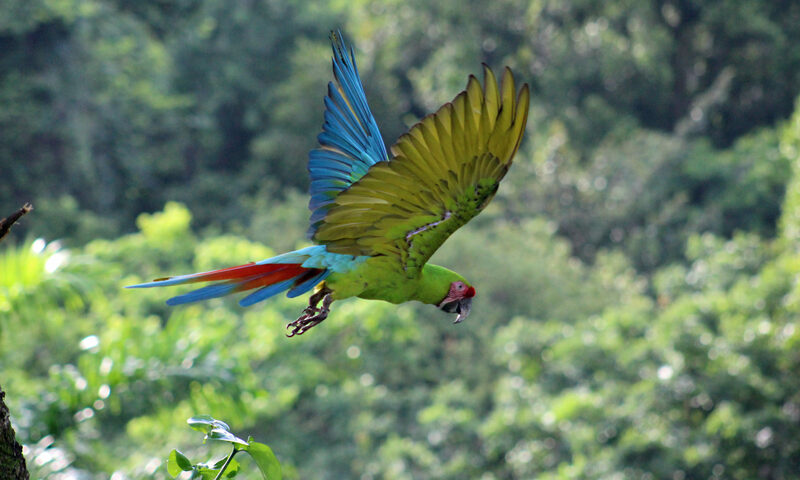 About Chlorophonia at Cornell’s Neotropical Birds – Only found Nicaragua to Guatemala and not in Costa Rica. In my Birds of Costa Rica photo gallery you will find photos of the Elegant Euphonia, Olive-backed Euphonia and Yellow-crowned Euphonia.